While looking through a book about Japan to help her grandson with a school project, the woman noticed something had fallen from the pages. It was a lottery ticket. Nicole Pedneault and Roger Larocque realised they had a winning ticket from an April 5, 2018 drawing. 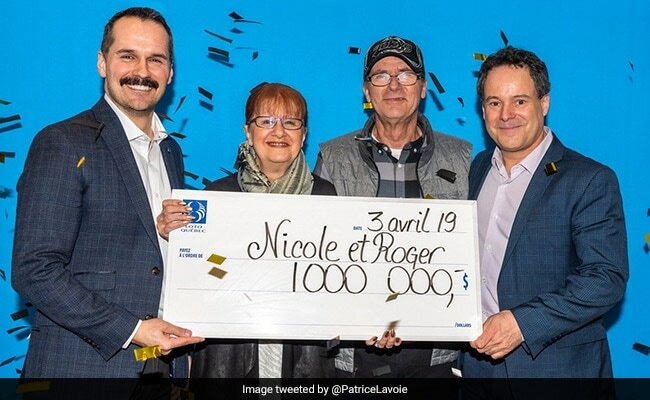 A Quebec couple won Can$1 million ($750,000) in the lottery after finding a winning ticket that had been forgotten in a book for months, the province's Loto-Quebec organization said Wednesday.